This iconic (and tiny) fashion trend will be all over your office this summer Emotional intelligence: what is it and how can you improve yours? The 3 components of successfully using humor in the workplace The downside of having attractive coworkers A guide to doing cocktails in Miami That bad restaurant review you read on Yelp may have been influenced by this odd thing This iconic (and tiny) fashion trend will be all over your office this summer Emotional intelligence: what is it and how can you improve yours? 3 reasons to choose a college based on price 6 brilliant things people with emotional intelligence do under pressure The science of happiness and effective teams 7 signs that you’re actually a problem employee That bad restaurant review you read on Yelp may have been influenced by this odd thing A guide to doing cocktails in Miami This iconic (and tiny) fashion trend will be all over your office this summer Emotional intelligence: what is it and how can you improve yours? 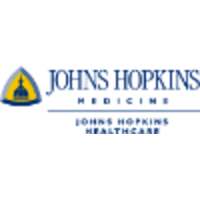 The Johns Hopkins Hospital Children’s Center is seeking a Clinical Pharmacy Specialist.The Clinical Pharmacy Specialist will have acute care responsibilities for the Pediatric GI/Nutrition and Pediatric Liver Transplant services.The Clinical Pharmacy Specialist will work to help coordinate care collaboratively with the multidisciplinary health care team which includes physicians, nurses, social workers, dietitians and other pharmacists. They will provide drug information and education to patients, students, residents, pharmacists, and other health care practitioners. They will serve as a preceptor for pharmacy residents of ASHP accredited PGY-1 pharmacy practice and PGY-2 specialty practice programs. Faculty appointments are available through affiliations with the College of Pharmacy at the University of Maryland and the Johns Hopkins University School of Medicine. Additionally, the successful candidate will support drug research conducted by theinstitution and seek to assume a leadership role in the profession of pharmacy. Preferredqualifications for this position include the completion of the Pharm.D. degree and a specialized residency in Pediatrics. Competitive salary and benefits accompanied bysupport for professional development activities.